Hi Everyone, welcome into my farmhouse! I am so excited to be writing my first post! Pour yourself a glass of sweet tea (or iced coffee if we’re kindred spirits) and let’s get to know each other!! Starting a lifestyle blog has been something I have been thinking about for a long time now. (Basically since my daughter was born over 1 year ago). But long story short, life has been a whirlwind this past year, and so here I am a year later finally getting started with LifeinourFarmhouse! 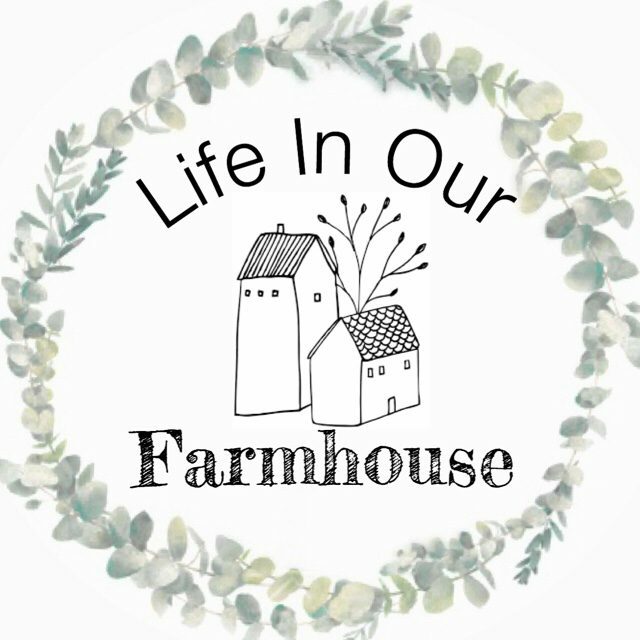 Some of you may know me from my YouTube channel/ Instagram Froufrou412 that I have just recently changed over to the name @lifeinourFarmhouse. I changed the name of my platforms because I feel like it fits more of who I am now, and if you’re wondering who I am, let me introduce myself. I believe in taking time out of each day to breath, find inspiration, and to remember what we’re thankful for. That’s me on the left with my sweet family! My name is Ashley Smith, and I am a child of God, a wife to Nick (right) , a mommy to my precious baby girl Mila Joan (cute little thang in the center) and a doodle mom to our golden doodle Jaxon! I work full time as a hairstylist in my little big town in NC. I have a lot of loves and passions such as singing and playing guitar with my church worship team. Designing and decorating our farmhouse we’ve built from the ground up and have been living in since October 2018 (hints the whirlwind mentioned earlier), photography, fashion, styling hair, DIY’s, gardening, Buffalo print,organizing, antique shopping, cooking…blah blah blah. Okay, do you see why I wanted to start this blog? Basically, I love connecting with people and I believe in sharing tips with each other to make life more enjoyable and a little less hectic! I believe in taking time out of each day to breath, find inspiration, and to remember what we’re thankful for. That is what I hope my blog post brings to you! I already have so many exciting topics to post about, and I look forward to getting to know all of you as well! Thanks for stopping by the farmhouse today and I can’t wait to visit with you again next time! Next articleDIYDIY-Finding Beauty in the Broken. I really enjoyed your video and am looking forward to watching more! Enjoy seeing your home. We have the same taste in decor. Can’t wait to follow you and see what’s new. I love your blog and all of your great ideas. Keep up the good work! Love this! Keep it up, I love reading your posts!